The Gorkha Janmukti Youth Wing(GJYM) will be organizing a rally on 26th Nov in support of Demonetization in whole of GTA region. Today a meeting of newly formed GJYM was organized at party office of GJMM in Kalimpong. 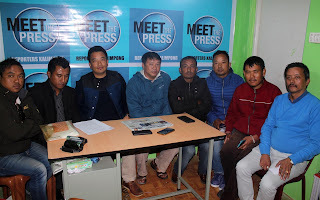 After the meeting addressing a press meet at Reporters Kalimpong office Anil Lopchan Central committee Vice president of the Wing , said GJMM party being a alliance partner of BJP Government welcomes the decision . He said all four places of Mirik, Kurseong, Darjeeling and Kalimpong rally will be organized. The Youth Wing welcomes the decision of the recent meet of GJM Party president Bimal Gurung and Secretary Roshan Giri with Home Minister Rajnath Singh. 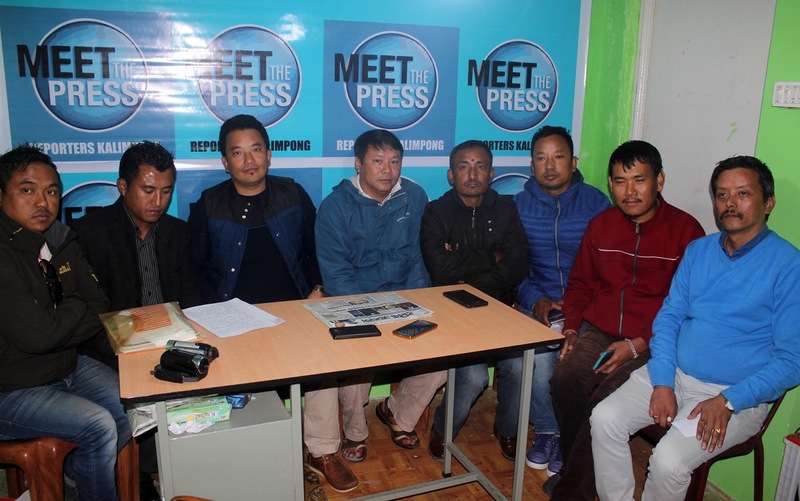 Prakash Gurung the newly elected GJYM President told that the Youth Wing will be taking active participation in the Dharna Program of in the December Dharna Program at Delhi. He said our main take is only Gorkhaland. He appealed all the other who are demanding the same to come in one platform for the issue. Amrit Yonzone secretary of the party dismiss the allegation of JAP youth wing who Termed GJMM leaders as dishonest. He said they only criticize but never give opinion what if right and wrong. If they are honest then why can’t they took out a rally in support of Gorkhaland or Why they can’t send a memorandum to PM in support of this issue? 0 Respones to "GJYM rally on Nov 26 supporting demonetization"